An overseas Vietnamese returns to his birthplace and starts the country’s first-ever professional sports academy and basketball league. Born in Việt Nam in 1971, Nguyễn and his family moved to the US four years later. He grew up in Kansas City and worked in Houston prior to moving back to his hometown of HCM City. When he was young, Nguyễn practised tennis with his father, got a scholarship, and was a member of his university’s tennis team. “I was at a pretty high level, which allowed me to qualify as a professional tennis trainer,” he said. After arriving in Việt Nam, Nguyễn found that the local sports market was new and no one was running a professional sports business. “Việt Nam is not like the US, which is a mature, very high-level market. You don’t have the opportunity to build anything because everything is there already,” he said. So, in 2009, Nguyễn opened a tennis training school called the Sài Gòn Sports Academy (SSA). At first, SSA focused only on tennis, but then slowly expanded to football, swimming and basketball. After three years, SSA had an opportunity to work with the Asian Basketball League (ABL), which was launched in 2010. The league had teams from Southeast Asia, but none from Việt Nam. “They approached me, but I needed more money, so I asked entrepreneur Nguyễn Bảo Hoàng, the current president of the Việt Nam Basketball Association, if he wanted to do it and he said yes. That’s why we became partners and the Saigon Heat basketball team was set up in 2012,” he said. When the team started, Vietnamese basketball lagged behind the rest of the Southeast Asian region, and had little success at first, but the team has ranked in the top four in the region for the last three years. “Now we’re looking to go to the next level by trying to get into the final regional championship game this year. We’ll continue to improve the team: importing players and having good coaching and a long-term development strategy,” Nguyễn said. Regulations require that each team have no more than two foreigners and two overseas Vietnamese players. “Local players need more time to train, especially if they’re young,” he said. Why basketball and not football? “Yes, most people pay more attention to football, but there’s not a good local team or local hero. From what I see here, people are more interested in international football,” he said. “The Vietnamese Football League is not a business. If they don’t operate as a business, it cannot be a long-term sustainable business for me and they can’t improve their competitiveness. Players will not be able to reach international standards or have higher salaries. There is no model or vision to make it a business,” he added. Nguyễn continues to offer tennis training, but he prefers team sports as they involve groups rather than just individuals. “Team sports can represent your school and city and leave something behind,” he explained. Hoop dreams: The Saigon Heat basketball team in action. When Nguyễn first started the team, most students’ interest in basketball was still weak. For every 10 students who chose football, there was only one who wanted to play basketball. But now, based on an evaluation of the 10,000 kids his academy has trained each year, the ratio is 30 who prefer basketball to 10 who want to play football. “Kids are switching from football to basketball. Football is the most popular sport in Việt Nam now for the older generation, but in the future many in the younger generation will move to basketball,” Nguyễn said. Entrepreneurs like Nguyễn sometimes assume that success can happen within two or three years. But it often does not turn out that way. “When you are new, no one recognises you, and when the market is young and immature, you can only spend a lot of money to solve problems,” he added. The formation of the Saigon Heat team, which now has a steady fanbase, was the first step in creating a professional sports business, according to Nguyễn. “They all operate in the same way as Saigon Heat, with similar sports entertainment, youth development and business models,” he said. 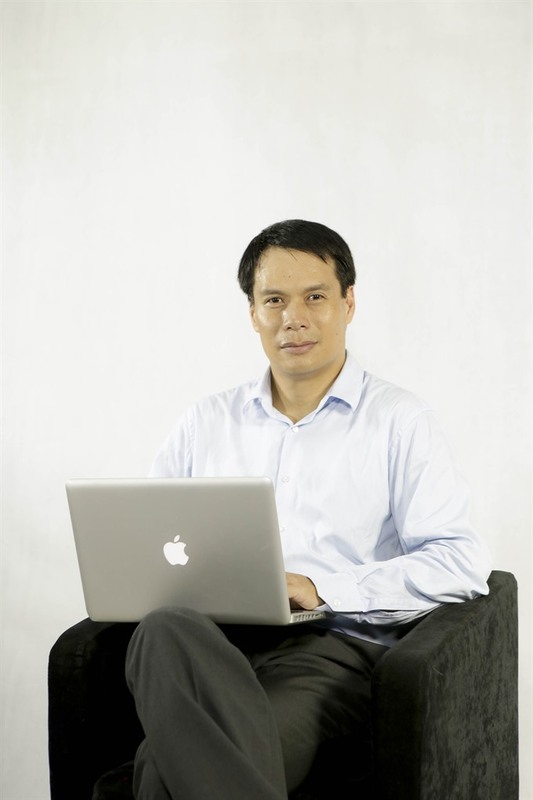 Nguyễn also founded the XLE Group, of which he is CEO. The group runs some of the administrative operations, but each of the six teams has a head coach and is responsible for the team, marketing, ticket sales, human resources and accounting. The XLE Group is also offering training in business skills to all of the teams so they will be able to operate independently in three years. “Now people in Hà Nội can follow their own team, not just the Saigon Heat team that began in HCM City,” Nguyễn said, adding that it would take a full five years to have a genuinely professional sports business. Besides Saigon Heat, the VBL and the Sài Gòn Sports Academy, Nguyễn also runs the Viet Nam University Games (VUG). “We have several large-scale national and international projects. We have created an eco-system for sport. But for basketball, we did it in a different way. Saigon Heat was set up after the Asian Basketball League suggested it. And then we established the Việt Nam Basketball Association, and now train and seek young players and young talents from universities. “So we have entertainment, educational and international development standards for our sport business. I believe we can apply this model to other sports, possibly women’s volleyball next,” he said.